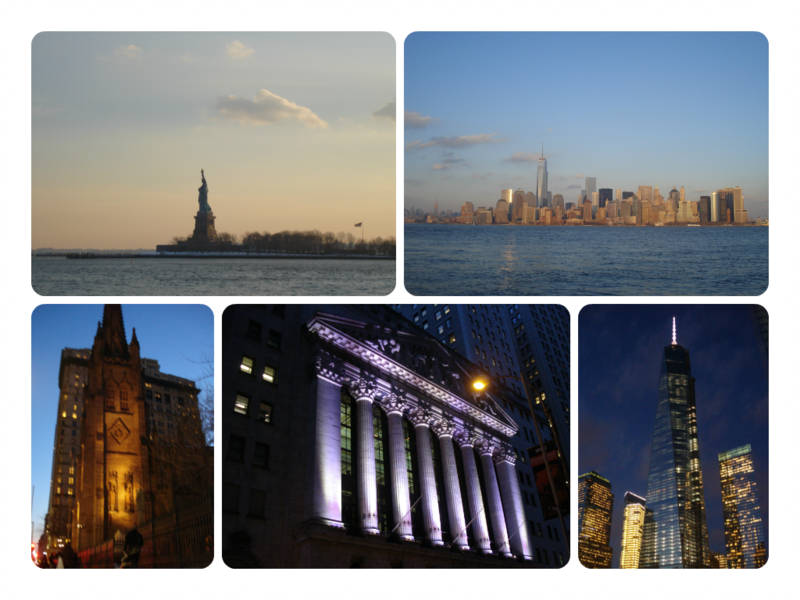 Now that I have a break from my Dutch homework, I can finally come back to the amazing memories about NYC. 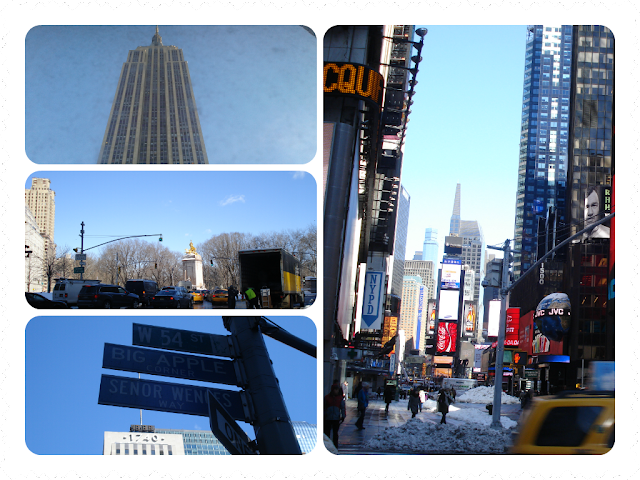 It all started with a sunny morning and the Empire State Building (ESB) right in front of our hotel room's window. Now, it was real; I was in New York City!!!!!! It took me a while to realize it but once I did, it felt like...... I don't know the word but it was veeeeery nice! All our days were very busy, so I'm going to keep it simple: a list of places we visited, pics and some tips & comments. 1 - Liberty Statue; nice but not thaaat impressive, imo. 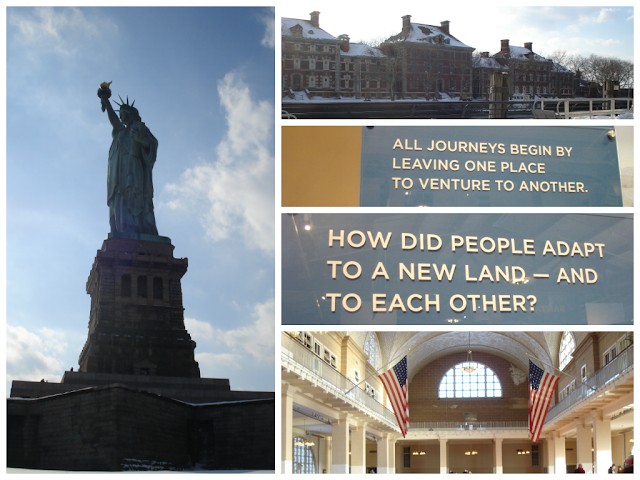 2 - View of Manhattan form Ellis Island, while the sun was setting; breath taking!!! This day was just tiring as hell!! But at the same time, super great and we saw/visited remarkable places. The Ellis Island and all its history is very impressive; as an e/immigrant myself, it meant quite a lot to me, but nowadays, things are not as tough as back then. Seeing Manhattan from the Hudson while the sun was setting, was very special. Those kind of "Kodak" moments that will always stay in your memory. I will come back with Day 3, asap! !